PREFACE: I am not a doctor. This article is meant to be anecdotal information based on my personal experience. I encourage you to learn as much as you can, and talk to your doctor if your dehydration issues become extreme. One of my biggest fears about life after surgery was concerning hydration. There are a host of reasons that staying hydrated after ostomy surgery is difficult, and as an endurance athlete my ability to stay hydrated is critical to performance. I’ve had an ostomy for over three years, and in that time have successfully trained for and completed the Boston Marathon, backpacked across New Zealand for a month, and completed 100+ mile bike rides in 80+ degree heat. In order to accomplish these things, I did extensive research about how surgery affects hydration, why hydration is so important, how to effectively hydrate throughout the day, and which hydration supplements I’ve found that work best; I’d like to share the highlights of what I’ve learned for anyone who wants to keep hydrated with their ostomy. As an elite level endurance athlete, hydration has always been a point of focus for me, but you don’t need to train like a professional athlete to have issues with hydration; in fact, once you have surgery for an ostomy staying hydrated can be difficult for anyone. According to Doctor Ananya Mandal, “The major function of the large intestine is to absorb water from the remaining indigestible food matter and transmit the useless waste material from the body”. According to many sources, this process accounts for up to 30% of your daily absorption of water. Suddenly losing nearly a third of your bodies innate ability to keep you hydrated is a pretty big cause for concern, but if properly managed you’ll find that staying hydrated is very possible. Before I get too far into the specifics of my hydration routine, I think it is important to get a baseline knowledge of why staying hydrated is so important. Whether you struggle daily with fatigue and light headedness, or you haven’t noticed any serious symptoms of dehydration, there is a good chance you can improve the quality of your day-to-day life by paying closer attention to what, how much, and how often you are drinking fluids. According to the Mayo Clinic, the average person should be drinking 2.5 liters of water per day, stating that, “even mild dehydration can drain your energy and make you tired”. There is an extensive list of vital functions that water performs in your body, but specifically for ostomy patients I think it is critical to acknowledge that water will help prevent constipation, lubricate your joints, and make vitamins and minerals in the food you eat more accessible for absorption. Blockages can often be prevented by proper hydration. Everyone is different, but I can say from my personal experience that as long as I’ve been properly hydrated, I have never had issues eating salad, trail mix, or other difficult to digest foods. I attribute this largely due to two factors; chewing my food thoroughly and hydrating effectively. If you are someone who experiences frequent blockages, it may be a good idea to take a closer look at your hydration routine and make some improvements. If you are one of many with Crohns or Colitis who suffer from painful and achy joints, it may be in part due to improper hydration. According to the Crohns and Colitis Foundation, up to 30% of those diagnosed with IBD will experience arthritis or inflammation of the joints. To a certain degree, this is an element that may be out of your control, but if you do experience these symptoms, staying hydrated may help relieve some of the underlying causes, or at the very least the symptoms. In either case, improving your hydration regime will only help your overall well being. In addition to absorbing water from food, the large intestine is also partially responsible for absorbing important nutrients. If you are missing part or all of this organ, it is in your best interest to maximize the absorption of nutrients in the small intestine. Armed with the knowledge that water is critical for that nutrient absorption, it should go without saying that staying effectively hydrated will help you make up the difference lost as a result of surgery. 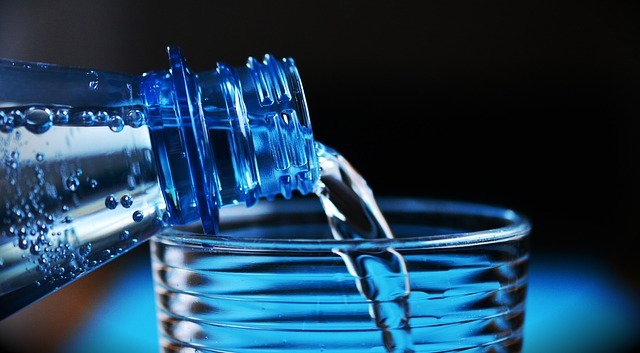 Now that we’ve covered some of the main reasons as to why staying hydrated is important and sometimes challenging for ostomates, we can get into how to address it. To start, it’s valuable to understand how the body absorbs water and the role of electrolytes in that process. We’ve all heard sport drink companies talk about electrolytes in their products, but what are they exactly are they and what do they do? In short, electrolytes are essential compounds for absorbing water. The most important ones are potassium and sodium. These electrolytes are absorbed by glucose and amino acids and attach themselves to the water molecules that you drink to be dispersed throughout the body. Richard Bowen, a biomedical researcher at Colorado State, succinctly describes this process in more detail here, but the primary takeaway is that sodium and potassium are needed to absorb water. Glucose (or simple sugar molecules) and Amino acids (or protein molecules) are normally consumed in a normal diet and rarely require supplementation. The last important piece of information about how hydration works that I want to cover is the amount and the frequency of fluids that should be consumed each day. There is a common fallacy that if you pee clear that you are hydrated. While this is a good indicator of hydration, it is possible to be very dehydrated and still pee clear. 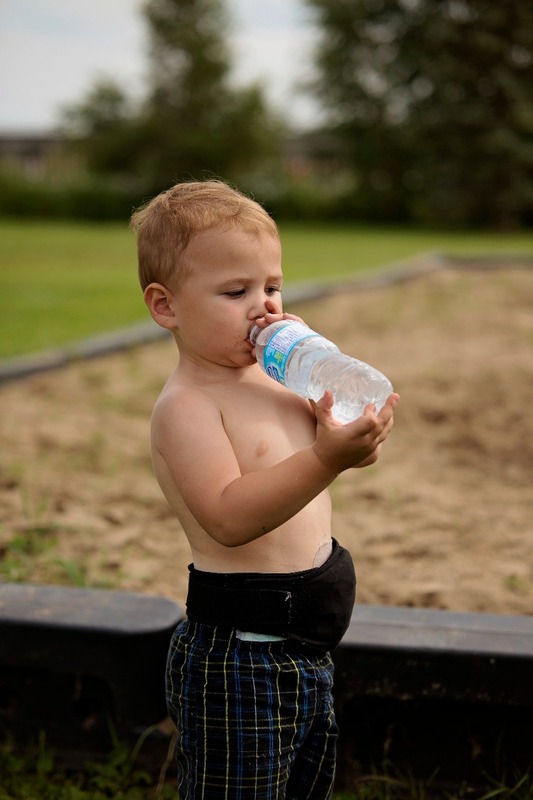 Getting your body fully hydrated after dehydration can often take days. A good comparison I like to use is charging a cellphone battery: when you charge your phone battery the first half of the battery life will charge much faster than the second. This is because a battery is not 100% efficient at taking in charge, but will be more efficient when the battery is closer to empty. Your body’s absorption of water works in a similar fashion; you can replace most of the water lost fairly quickly, but solving mild dehydration is a continuous process. The best way to effectively hydrate is to take small, frequent sips of water throughout the day. Adding in a supplement with the right electrolytes to some of that water is also beneficial, but the most important thing you can do is to be consistent. When I was at my peak training period getting ready for the Boston Marathon, I was running over 100 miles every week, which meant I was sweating A LOT. The only way this was possible was for me to be drinking small sips of water every 10-15 mins. I got a water bottle that I loved and it never left my side. I made sure to drink even when I wasn’t thirsty, and I increased the amount of daily fluid intake from the recommended 2.5 liters up 30% - to 3.25 liters. Forcing myself to get into this habit made it possible for me to go on 20 mile training runs in 80 degree weather with relative ease, and quickly showed me that a little knowledge and diligence was all I needed to keep myself properly hydrated. As far as specific supplements are concerned, I recommend H2ORS, and GU Energy Tabs. H2ORS is a medical hydration supplement specifically designed to help advanced dehydration, chemo recovery, and intense exercise. GU is a cutting edge sports hydration and fuel company that is geared towards athletic performance. I use H2ORS as my daily supplement, and GU for hydrating while I’m being active. There are other options out there that will work, but these two have worked very well for me, and come with my full support and unsolicited recommendation. I recognize that learning about hydration can be a lot to digest (pun intended), but with a little knowledge about how your ostomy affects your hydration, what electrolytes do, and how you can hydrate effectively, you can make better decisions about what supplements will work best and hopefully feel a lot better in your daily life. Check out his Strava page to follow along in his training as he prepares for his next race; the Toronto Half Marathon in October!